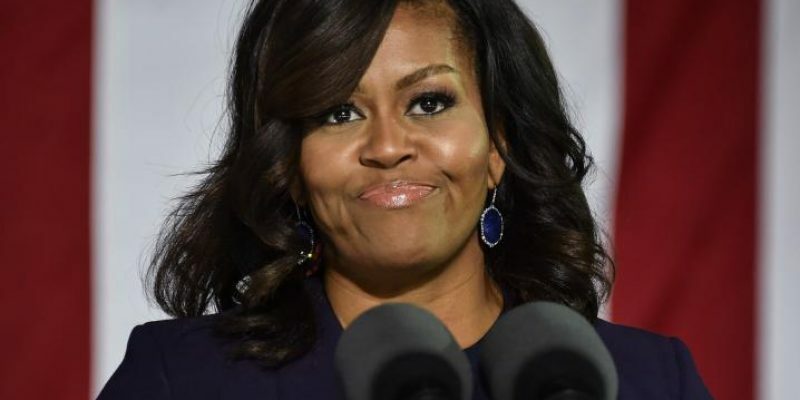 This past weekend in Brooklyn, N.Y., former first lady Michelle Obama spoke to a packed crowd at the sold-out 19,000-seat Barclays Center and in true form could not hide her disdain for others whom she thinks are beneath her. While promoting her new book, “Becoming,” Obama swore in front of the crowd and dismissed Facebook CEO Sheryl Sandberg’s 2013 book, which sparked the “Lean In” movement. Obama then realized she said that out loud. And added, “I forgot where I was for a moment” as attendees laughed and applauded. In 2013 Sandberg’s “Lean In: Women, Work and the Will to Lead” book argues that women can be more assertive to overcome workplace inequities and obtain leadership roles. Critics note that her book downplays sexism and in some ways blames women. Sandberg also founded the website Leanin.org. A percentage of the proceeds from tickets for the event (from $129 to $500 per ticket) went to New York community groups. Obama’s “Becoming,” which came out November 13, has sold more copies more quickly than other political memoirs. Combined hardcover, e-book and audio sales in the U.S. and Canada topped 2 million copies in the first 15 days, Crown Publishing announced Friday. By comparison, former first lady Hillary Clinton’s memoir “Living History” took one month to sell 1 million copies, Fox News reports.